In cities extreme temperatures and weather are occurring with increasing frequency. 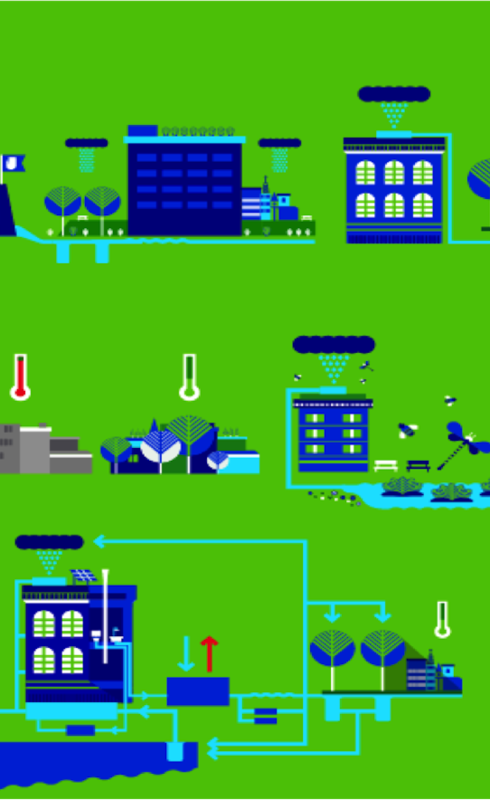 The restoration and redevelopment of integrated ‘blue’ and ‘green’ infrastructure could help to reduce the impact of such events and simultaneously increase the value of the land. 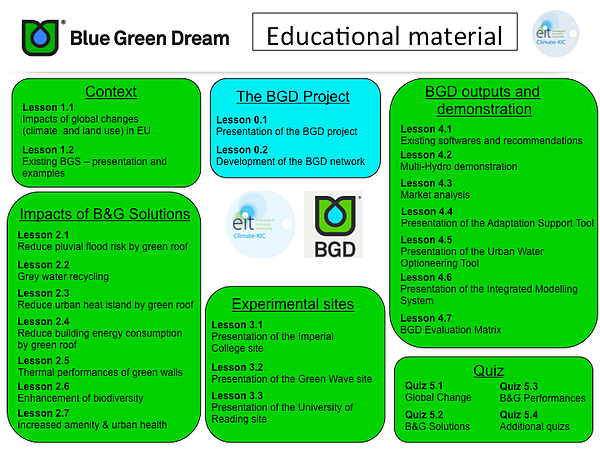 The Blue Green Dream (BGD) project aims to develop the service infrastructure to implement the use of this adaptation solution.